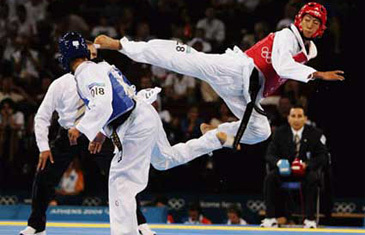 The World Taekwondo Federation will introduce an athlete ranking system as early as in 2009, after years of study. The WTF athlete world ranking system, which will be announced every three months, is aimed at making taekwondo competitions more exciting both to the public and the media. A quarter of the athletes participating in the WTF-promoted or –sanctioned tournaments will be seeded for every category, according to the master plan of the WTF ranking system. If there are 24 athletes in a weight category, six will be seeded. The system, which will include informative statistics, may eventually serve as a platform for the creation of a professional taekwondo league, which will be beneficial for the WTF and the athletes in terms of marketing opportunities. Based on the WTF ranking system, the WTF plans to launch a tentatively named annual President Cup Invitational Tournament as early as in December next year. According to the proposal, top eight athletes in each category will be invited to the tournament. The system will be applied to the WTF-promoted and –sanctioned taekwondo championships on an individual basis. In principle, the points shall be awarded according to the following formula: A (Points received according to the rank at the WTF-promoted or sanctioned championships) X B (Grade of pertinent tournaments) = final points. According to the master plan for the WTF ranking system, the first-ranked athlete shall receive 10 points, while the second-placed athlete shall receive 60 percent of the points awarded to the first-ranked athlete, that means 6 points. The third-ranked athlete shall receive 60 percent of the points awarded to the second-ranked athlete, that means 3.6 points. The WTF will commission its Games Committee or a new Event Evaluation Committee to grade taekwondo tournaments. The WTF plans to report the detailed ranking system to the WTF Council in December this year on the occasion of the 3rd WTF World Taekwondo Poomsae Championships to be held in Ankara, Turkey. The first-placed athlete at the Olympic taekwondo tournament, for example, will receive 100 points. Multi games and WTF-sanctioned tournaments shall be classified into AAA, AA and A classes by the Event Evaluation Committee. The Committee shall evaluate a tournament within one month after the completion of the pertinent event, taking into consideration the number of participants, technical level of athletes, the organizing committee's abidance by the WTF Rules and so on. The awarded points shall be only valid for two full years and will be reviewed every three months. This process is continuous, that is new points awarded to an athlete will be subject to its own two-year cycle of point reviews every three months. During the two-year term, 25 percent of a particular set of awarded points shall be deducted every three months. After the completion of the eight quarterly reviews, that is two-year term, no points from this set shall remain. Based on this rolling point review process, the only remaining points shall be those awarded to the athlete in other competitions. National team ranking and junior ranking systems will be adopted after a successful implementation of the WTF ranking system for individuals, while the by-law to the WTF ranking system will be developed soon to clarify the detailed matters, such as criteria of classes.